We closed our That Boutique-y Whisky Company samples quartet with a whisky from Speyside – Fettercairn distillery… While the others were from Diageo, this one was from White & Mackay. It was my 1st encounter with a single malt from this distillery… and I have to admit up front, it impressed us. We returned after some time and discovered a sharp cheese, grassy and distinctive. 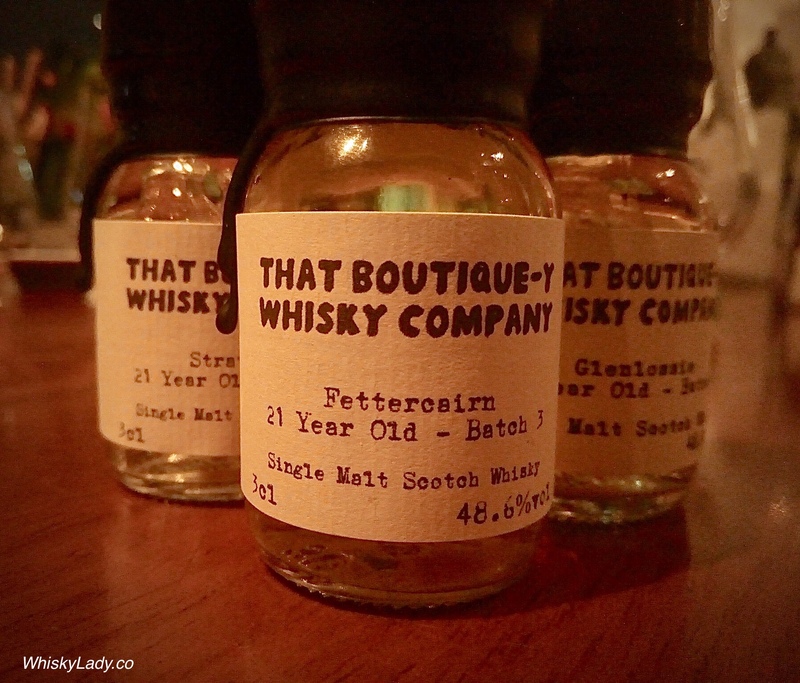 Fettercairn (the town) is home to Fettercairn (the distillery), and it has been since 1824. They use an inventive method of making a lighter style of spirit – when they’re collecting the middle cut, the run cool water (not the fragrance) along the outside of the still’s neck, which increases reflux, resulting in a lighter spirit. Science in action. The chaps on the label of our Fettercairn appear to be judging cairns. Looks like one of them likes the larger one. Palate: Bramley apple, sweet custard and fresh oranges. Winter spice, hazelnuts and a little toffee. Finish: A hint of raspberries is present in a good-length finish. Depending on where you acquire it (if still available), a 50 cl bottle would set you back approximately £58. I was very amused when saw their label – we definitely concurred with pronouncing this our favourite for the evening! This entry was posted in Highland, Scotland and tagged Fettercairn, That Boutique-y Whisky Company by Carissa Hickling. Bookmark the permalink.